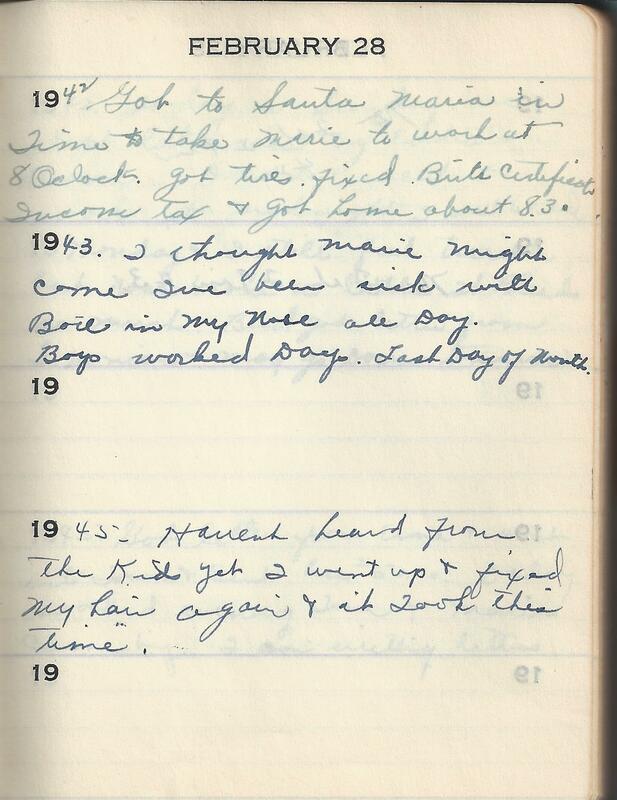 1943 I thought Marie Might come Ive been sick with Boil in my Nose all Day. Boys worked Days. Last Day of Month. 1945 Havent heard from the Kids yet I went up & fixed My hair again & it Took this time.